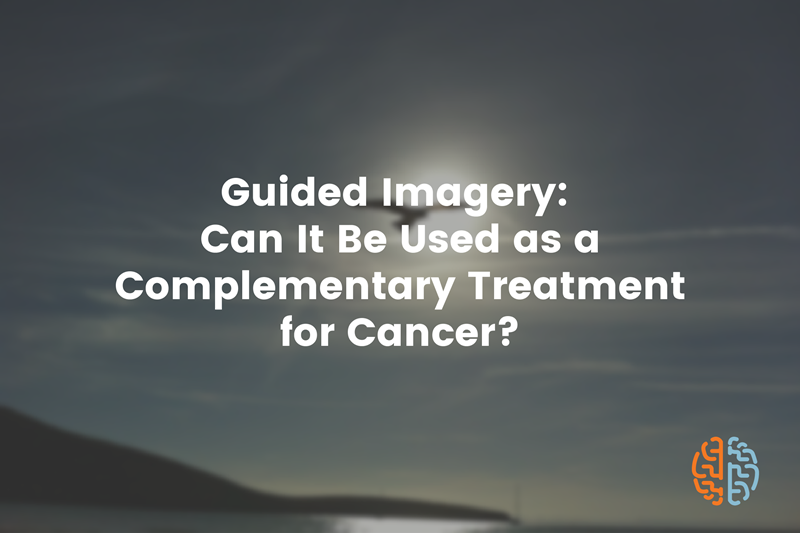 Guided Imagery: Can it be used as a Complementary Treatment for Cancer? You are here: Home / Guided Imagery defined / Guided Imagery: Can it be used as a Complementary Treatment for Cancer? Guided imagery, also known as hypnosis, is becoming more and more accepted as an alternative or complementary form of treatment for cancer and other illnesses. Although many remain skeptical, research is slowly revealing that guided imagery has benefits that can be adopted for conventional treatment. To understand why, it is important to answer one key question: what is guided imagery? Guided imagery, to describe it simply, is a treatment that focusses the imagination. You focus the mind’s eye on a specific desired object and the resulting brain activity releases chemicals from the brain that are beneficial to the body. Guided imagery has been used by some of the top athletes – Michael Jordan, Tiger Woods, Mohamed Ali and others have admitted that just visualizing success before their games helped them achieve what they wanted. Science is now acknowledging that the same results can be used to help people who have serious illnesses such as cancer, diabetes, heart disease and others. It has been scientifically proven, for instance, that just 10 minutes of guided imagery a day can help lower blood pressure quite significantly. It has also proven very effective in pain management which is of particular relevance to cancer patients. It also helps reduce the side effects of chemotherapy such as nausea, fatigue and even depression. The reason why guided imagery works so well is because it is done using the right part of the brain. This, as it so happens, is where many of the functions that are required for wellness reside – it is the home of emotion, openness to spirituality, laughter, empathy, abstract thinking and so on. When you engage in guided imagery you stimulate all these as well, which in return leads to feelings of physical wellness. The great thing about guided imagery is that it can be done by literally anyone. If you are using it to help you with recovery from an illness you are better off using a professional. Fortunately, as more science trickles in on the benefits of guided imagery hospitals and treatment centers are now including it in treatment plans – there are many that require cancer patients (or at least give them the option) to go through guided imagery on a regular basis. If, however, you are doing it for general wellness you can attempt it by yourself – there is a lot of material online to guide you. You may find it hard to do guided imagery in the beginning but you will get better at it over time. In addition to that, you will find that it becomes more and more effective the more you do it – you will feel better and better after each session. Don’t worry if you feel that you aren’t getting it right at first; you will get the hang of it before long.